Santa Anita Park, Golden Gate Fields and the Thoroughbred Owners of California (TOC) on Saturday reached an historic agreement to protect the safety and welfare of horses and riders in the state. This collective mandate enacts the most stringent medication policy in North America. 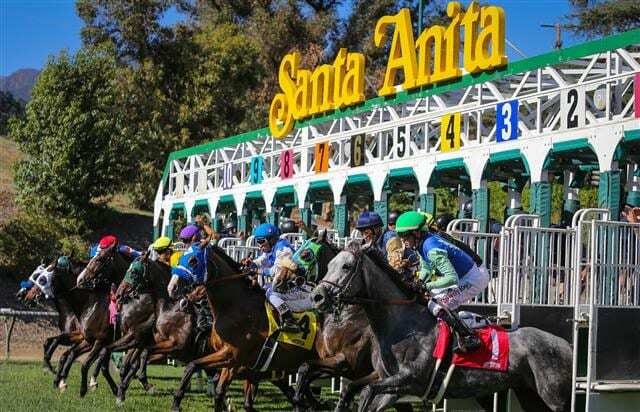 Belinda Stronach, president and chairman of The Stronach Group (TSG), which owns both Santa Anita in Arcadia and Golden Gate in Albany, outlined these ground-breaking rules earlier this week in an Open Letter. Working with horsemen and internationally renowned veterinarians, TSG and TOC have discussed the best measures to put the horse first and appropriately enact these changes. All horses born in or after 2018 will race at Santa Anita and Golden Gate with no race- day medication, including the diuretic furosemide, commonly known as Lasix. This means all 2-year-old horses starting in 2020 and after will be racing medication free. Once this historic agreement is approved by the CHRB, Santa Anita and Golden Gate will race with these enhanced new safety and welfare protocols in place. Because state regulations require a 10-day approval process, Santa Anita is planning to return to racing on March 29. CORRECTION: Early reports indicating a March 22 return to live racing at Santa Anita have been amended. This entry was posted in NL Article, The Biz and tagged belinda stronach, California Horse Racing Board, california thoroughbred trainers, chuck winner, dionne benson, golden gate fields, Greg Avioli, Horse Racing, lasix, lasix ban, racing medication and testing consortium, santa anita, santa anita park, The Stronach Group, thoroughbred owners of california by Press Release. Bookmark the permalink.